Gina Sanders is the former President and Chief Executive Officer of Fairchild Fashion Media. In addition, she was the former Vice President and Publisher of Lucky, Teen Vogue, Gourmet and Details. Gina asked us to create a website for her new startup, Gina’s Collective. 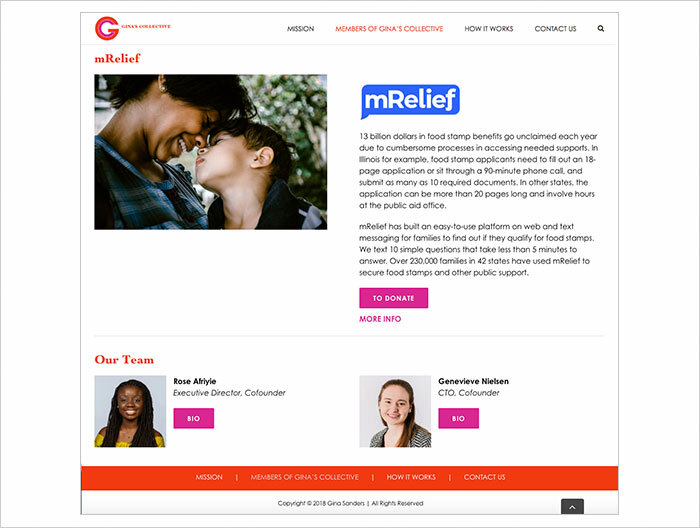 It is an advisory providing coaching, connections and creativity to tech-enabled nonprofit startups. 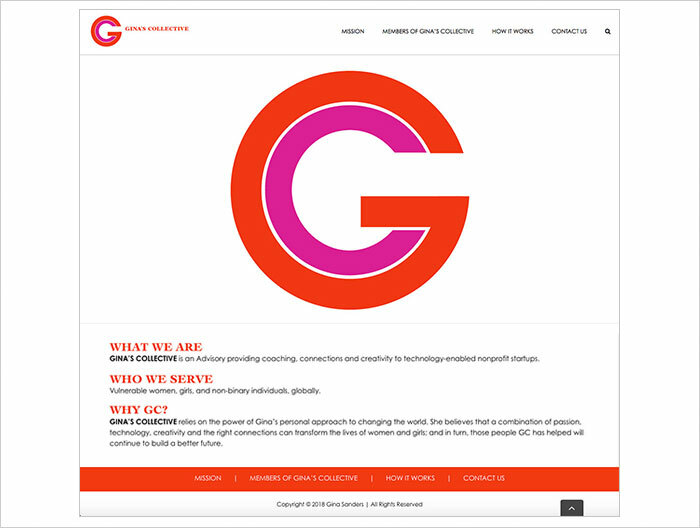 The site showcases the startups and brands Gina’s new venture.